Home / Testimonials / Win all around! I love my wool comforter! I used to get such crazy dreams when I slept under my standard polyester comforter, but now, I sleep much more peacefully. I still dream, but none of the twisted ones that make you wonder what is in your head. For myself, I bought a regular weight and a lightweight comforter; in retrospect, I would buy two lightweight ones to tie together for the winter inside the same duvet cover so I don’t have to pack one up for a season, like the DIY tab in the comforter suggests. I run cold and find the lightweight one to be perfect for 70 degree air conditioning in the summer and the regular weight one works for me for most of the winter months. I do keep the comforter inside a duvet cover to make keeping them clean easy. I find that my linen duvet cover adds a bit of warmth to the comforter, probably similar to another lightweight blanket or a few sheets. The organic sateen fabric really adds a classy, finished touch too. 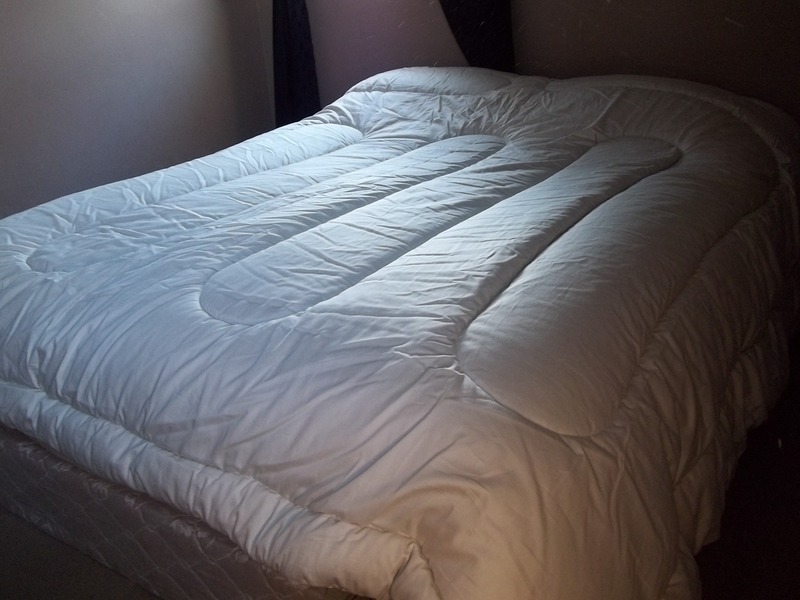 I tried to get by on the cheap and use some leftover non organic cotton fabric for my first comforter and while it works, the sateen DIY offers that is on my second comforter is smooth and has a slight shine to it, a nice presentation. I made my kids flannel duvet covers for their wool comforters and they love the cozy, soft feel. They can’t keep layers of blankets on them in the winter and these comforters are perfect to keep them warm. I’m very happy with these five wool comforters! Thanks DIY Natural Bedding for a great product that ensures my warmth and sweet sleep as well as supports consciously raised sheep, organic farming and small businesses. Win all around.